Materialism, selfishness, and feelings of entitlement are being instilled into our children through the culture we live in. It is important to teach them, while they are young, to be grateful for the blessings God has given them, and to be generous in sharing those blessings with others. 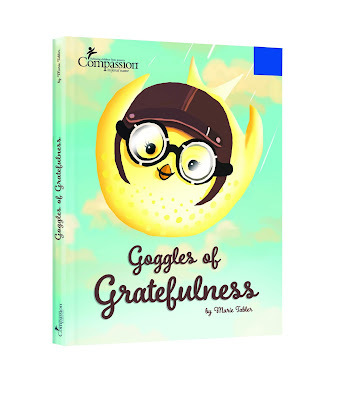 Compassion International has a way to help teach these important lessons with their new e-book, Goggles of Gratefulness. It is a sweetly illustrated, 20-page book about a little bird who had an ungrateful attitude. Then, she had a change of heart while visiting a needy family member.